Thanks to its state-of-the-art offset and digital technology, Polygravia Arts Graphiques can carry out your printing needs to the highest standard. Every one of your projects is unique. If you wish to add metallic colours, special effects, UV varnish, die-cutting, special paper products, or bind your project, we can give you the right advice and ensure the excellence of your finished product. With our sheet-by-sheet offset and digital printing, we cover all traditional products, from annual reports to flyers and company brochures. Make your products stand out from the rest by choosing innovative materials such as iridescent paper, PET, polypropylene or PVC. You're planning a packaging project and you want to see exactly what it will look like and how it will feel before starting the production process. At Polygravia, we work with you to create highly sophisticated life-size mock ups. No matter the size and shape of your packaging or the material you use, we will help you find the perfect solution. Not only from an aesthetic and economic point of view, but also taking your production needs into account. From the original idea to final production, we have put in place different steps to develop your project in the best possible way. 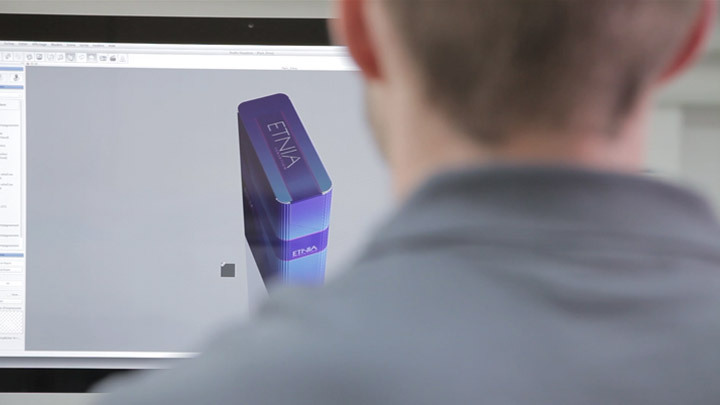 Exploring options for materials and special effects, 3D visualisations, or even the creation of prototypes allow us to validate all the necessary elements before beginning production. 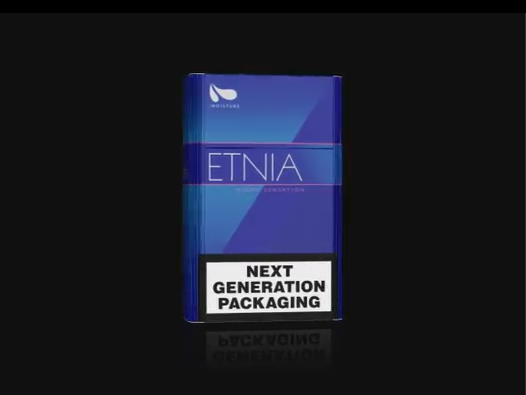 You've got a vision of your particular packaging firmly in mind and would like to be able to see it. We work through your request with you, being sure to remain cost-effective. We are continually looking for innovative solutions and regularly investigate a range of materials, technologies and special effects (UV, glitter, etc.) that can heighten the impact of the packaging. When necessary, we source materials from specialised suppliers from around the world. We set up a workflow that optimises the technical production of your project. Every detail is taken into account and every test is rigorously documented. On-screen you can see the global vision of your project, right down to the smallest detail. Initial life-size models are produced on our offset machine. You can then see exactly what your packaging will look like once printed. We apply final finishing refinements to add that premium touch to your packaging. The packaging is coming to life before your eyes. It is three-dimensional, correct to the last millimetre, and has exactly the same dimensions as the versions that will be placed on the market or tested by consumers. We draw up a report detailing all the processes used, which allows large-scale production. Choose lenticular imagery to create stunning printing results. This highly sophisticated technology allows you to see relief and animation effects without glasses or other devices. We have carried out tens of millions of lenticular products with hundreds of different visuals: from textured images to images with animations, from a simple sticker to a 3D poster, from printed plastic cups to prestigious leather products, from cardboard to deluxe packaging, from one to millions of units. And all in high definition. Lenticular imagery creates startling effects and ensures that your products are unforgettable. Polygravia has been the specialist in premium quality printing for over 70 years. Today, we have more than 25 staff members. Our know-how and our continuous search for new techniques mean that we can create projects that have real added value. From technical advice to printing and from the initial idea to the creation of your 3D mock ups, we will be alongside you for the whole process. Driven by a constant commitment to quality, we ensure that no part of the process is left to chance. Our goal is to give you quality advice. We can take you in the right direction, no matter the size or stage of your project.